Have fun discovering Aberdeen with two self-guided, heritage walks with an optional treasure hunt. Buy or instantly download & get curious! Are you curious about Aberdeen? Looking for an unusual and quirky activity which gets you out in the fresh air whatever the weather? 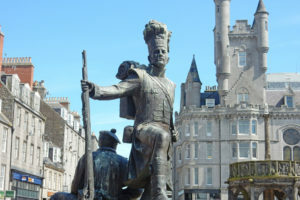 Take one of our self-guided walks with a treasure hunt theme – looping around the better-known sights, as well as some of the more unusual and quirky ones, which combined make Aberdeen a fascinating place to explore! You’ll get everything – detailed directions, maps, clues (with answers in the back! ), and interesting snippets about the history of Aberdeen and the people that have shaped it. Buy or instantly download from https://www.curiousabout.co.uk/aberdeen.html and explore in your own time. One booklet is enough for four people of all ages to enjoy. Enter code “WhatOn20” at checkout for 20% off any two or more Curious About Walks. Have fun discovering Edinburgh with two self-guided, heritage walks with an optional treasure hunt. Buy or instantly download & get curious! Are you curious about Edinburgh? Looking for an unusual and quirky activity which gets you out in the fresh air whatever the weather? 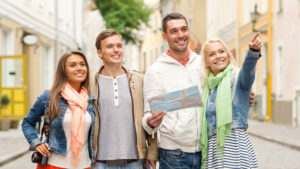 Take one of our self-guided walks with a treasure hunt theme – looping around the better-known sights, as well as some of the more unusual and quirky ones, which combined make Edinburgh an unmissable place to explore! Resident or just visiting, you’ll see things you’ve never noticed before. As well as the two walks, you’ll get detailed directions, maps, clues (with answers in the back! ), and interesting snippets about the history of Edinburgh and the people that have shaped it. Buy or instantly download from https://www.curiousabout.co.uk/edinburgh.html and explore in your own time. One booklet is enough for four people of all ages to enjoy. Bid farewell to winter at Beltane Fire Festival, which gives summer a warm welcome with a huge display of fire play, music, and immersive storytelling. For one special night, hundreds of otherworldly creatures will descend on Calton Hill to mark the change of the seasons. When the drums start to thunder, the May Queen awakens and leads her followers on a spectacular procession, watched by an audience of thousands against the backdrop of Edinburgh’s stunning skyline. Beltane Fire Festival brings ancient Celtic traditions to life with a unique modern twist. Through dazzling fiery displays, elaborate costumes, and interactive performance, we show the May Queen transforming the Green Man from his wintry guise so they can rule together over the warmer months. Venue Details: Calton Hill, Waterloo Place, Edinburgh EH1 3BJ, United Kingdom. Time: 8:00 pm – 1:00 am. Low Income ticket: GBP 5.50. Roll up, roll up, The MoonWalk Scotland is coming to town! On Saturday 8th June, the famous experience will be bringing the magic of the Big Top to Edinburgh, so come one and all, sign up now! 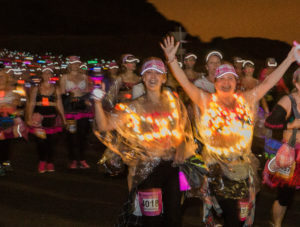 Think crazy, fun, colours and decorated bras built to amaze as thousands of women and men will take to the streets at Midnight, gleaming and glittering with gold, raising money and awareness for breast cancer charity, Walk the Walk.